Caribbean agriculture depends on seasonal rainfall, and this makes the sector highly vulnerable to crop failure due to the effects of climate change. But research conducted on a popular staple found in the Caribbean and The Pacific has resulted in a new variety of dasheen that has proven to be resistant to drought and soil with high salinity. “This crop is already tested in the Caribbean. It was planted in Trinidad and the feedback is very positive,” said Samson Vilvil Fare, Associate Programme Coordinator, ARD Policy of the Technical Centre for Agricultural and Rural Cooperation, who disclosed that a variety of dasheen that was developed in the Pacific. The development was undertaken as part of a project aimed at developing climate change resistance crops — plants may soon be available to Caribbean farmers through the Caribbean Agriculture Research and Development Institute. 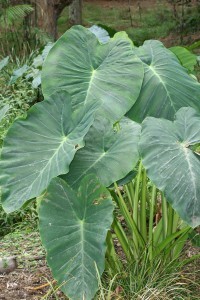 Fare explained that the crop was developed by the research centre in the Pacific called the Centre for Pacific Crops and Trees, and it took years of study and investigation to develop the variety that is now widely accepted among farmers and consumers in Pacific. “Dasheen is a main staple for us and we eat a lot of it, so something had to be done to ensure that it will survive a long dry season that is now associated with the impact of climate change,” he said. “The aim of the centre is to assist Pacific island countries and territories to conserve the region’s resources, and to make them available when they are required by farmers. Conservation is the core business of the centre, with priority given to a number of crops such as dasheen which we call taro, yam, cassava and breadfruit,” he said. “So in that sense, the Caribbean doesn’t have to reinvent the wheel, and we are sharing with them our experiences and research, because we share common climatic conditions,” said Fare, who is a delegate from the Pacific attending the one-week Caribbean–Pacific Agri-food forum in Barbados. “Dasheen needs lots water to grow and mature, but this variety needs less water, so under drought conditions it will be able to produce — if the sea level was to rise where it’s planted and the salt water gets into the soil, that variety will not die, because it’s also resistance to high salinity levels,” he shared. 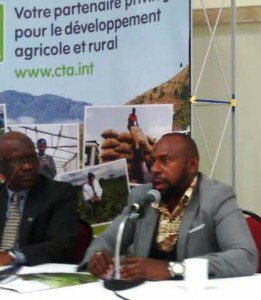 Fare, who was speaking about the impact of Climate Change and the effect it is having on crop production, said that the changing climate has confused some plants about the season for their own production, but with the right research solutions will be identified as part of adaptation measures. “This makes the agriculture sector highly vulnerable to the effects of climate change on rainfall patterns, as lack of production diversification and other sustainable agricultural practices increases the risk of crop failure,” he said. 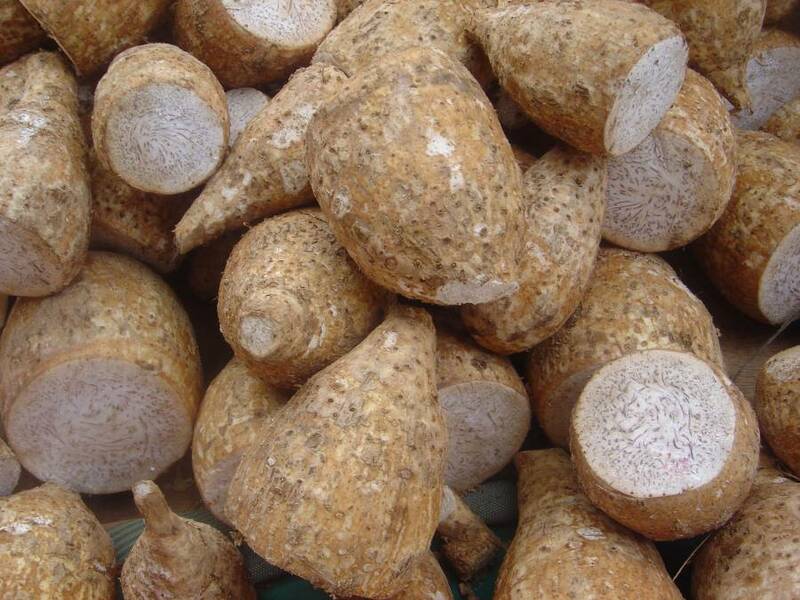 The Agricultural policy advisor disclosed that the Pacific is interested in the Caribbean yellow yam, because although they have different varieties of yam in the Pacific, the yellow yam which is a major staple in the Caribbean is not one of them.